While we can count the time that we had her in our arms, it is impossible to count the number of lives that she touched in her short life. It is our wish that in Scarlett’s name, we can continue to bless others the way we were blessed by her and by family, friends and friends of friends during our time with this precious princess. Scarlett May was born on 15 October 2013. She was a perfectly healthy 8lb 10.5oz baby girl. We were overwhelmed with joy for the newest addition to our family. She exceeded all expectations, smiling before she should be able to and saying her first words at just four months old. 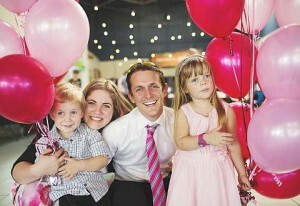 We were just like any family with three young children, busy being busy, planning our lives and our futures together. We knew that Scarlett and her big sister Annabelle would grow up to be best friends, that Jacob would be the protective big brother (once he learned to share his mummy and daddy). 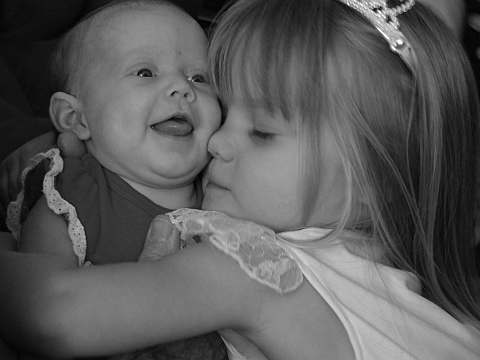 We knew that one day Scarlett would be a big sister herself and grow up loving her younger sibling/s as fiercely as Annabelle and Jacob loved her. Our life was far from perfect but it was perfect for us. As parents, one of the worst things we all experience at one time or another, is dealing with sick kids. It is such an awful thing to go through; to be completely helpless, to be able to provide only hugs and prayers in the hope that we can love our children better while time and medicine does its work. With two older siblings, we were used to handling sick babies – or so we thought. 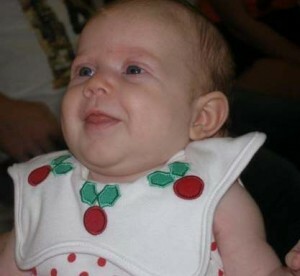 When Scarlett was 2 months old she developed a minor cold after which we noticed she had a deep rattle in her chest. 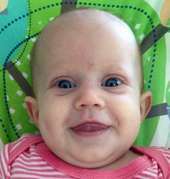 There was nothing more to indicate to us that she was unwell – no unsettled behaviour, no fevers, no drop in weight gain, just a small rattle that over time we were able to hear as she breathed in and out. At her 4 month vaccinations we mentioned this to our family doctor who referred us for x-rays to rule out anything sinister. It turns out Scarlett had some congestion, which we assumed was from a cold she had contracted a little while earlier. The doctor indicated that when she learned to cough, she would eventually move the congestion and it would clear. were told to expect, Scarlett began to cough. We saw this as a good thing even though it sounded awful. She was finally able to move that congestion and all would be ok… until it wasn’t. 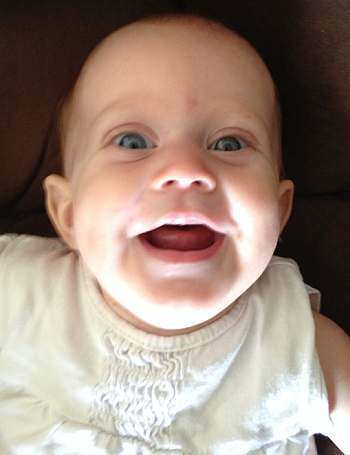 On the evening of 15 April 2014 at exactly six months old, we took Scarlett to the local hospital. Her cough had changed and sounded particularly nasty. After being discharged, re-admitted, two long sleepless nights and multiple tests, we were advised Scarlett had an unnamed virus. I n addition, the doctors noticed some odd posturing in her upper body and advised us that they suspected she may have a mild case of Cerebral Palsy. As the parents of an otherwise healthy baby, hearing that Scarlett may have a limiting condition was devastating. We spent the following 6 weeks working towards an official diagnosis. The morning of our paediatrician appointment, when we were to receive the results of Scarlett’s diagnostic tests, our darling girl stopped breathing and turned an awful grey-blue colour. There are very few things one can think of that would cause more terror than seeing your child, your baby, fighting for breath. Scarlett was just 7.5 months old. Scarlett spent a month in hospital. After consulting with 11 different specialists, undergoing tests for countless conditions, and spending a night in the Paediatric Intensive Care Unit after Scarlett stopped breathing again, we were finally sent home. Scarlett was on permanent tube feeds, we had a suction machine to help her manage her secretions and a loose diagnosis which included reflux, floppy airways, difficulty swallowing due to bulbar palsy (miscommunication between the brain and the mouth and throat area), and abnormal toning of her upper body. We were set up with a treatment plan which included lots of physiotherapy, occupational therapy and speech therapy in the hopes that eventually Scarlett would grow out of these problems. We spent 5 days back at home before Scarlett had another apnoea. This landed us back in the hospital for another 10 days, only to leave with full-time oxygen and no more answers than we had before. At this stage we were a little more than concerned. How could one seemingly healthy, full-term baby have so many problems, all of which were apparently unrelated? We were devastated for Scarlett, knowing with all these challenges ahead of her, she would not have the normal childhood we had hoped. 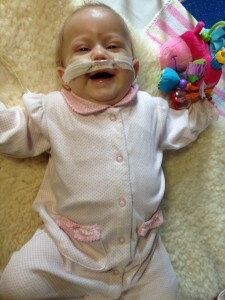 She was to be on feeding tubes permanently and oxygen full time. How would she run and play like her siblings? Another week at home, during winter, with Annabelle and Jacob both sick with colds and conjunctivitis and we were back in the hospital so the doctors could help manage the new infection Scarlett had picked up. At this stage, Scarlett and Renee had already spent the better part of 2 months away from Aidan, Annabelle and Jacob and just wanted to be together, to be a family again. From here things became progressively worse for our little girl. On Thursday 31 July we left the hospital briefly together and went for a walk. When we re-entered the hospital we were met by a nurse informing us that Scarlett had yet another apnoea only this time her heart had stopped…and ours completely broke. The ward nurses, by then like family to us and aunts to Scarlett, revived her (and us) that day. Those nurses will forever hold a special place in our hearts for saving our little girl. 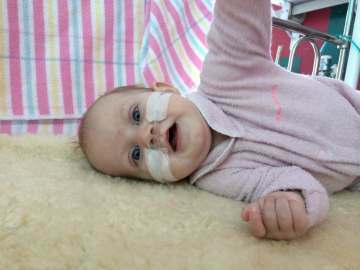 After being intubated and sedated, Scarlett spent five days in ICU before being transferred back to the baby ward, a place quickly becoming our ‘home’ in the hospital. We were told that some tests had revealed an abnormality in Scarlett’s blood and further tests were being done to determine exactly what that meant. Less than a week later, Scarlett crashed again. This time she had to be paralysed before the doctors were able to intubate and get her breathing again. All we could see was that our baby girl was getting progressively worse and no one could tell us why. We were so desperate for a diagnosis. 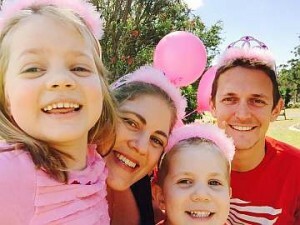 With a diagnosis comes a treatment plan, something to keep Scarlett safe and to help her get better so that we could go home and just go back to being an ordinary family with young kids… but the diagnosis we received was not one of hope. Gaucher’s Disease Type 2, an incredibly rare genetic disease that no doctor in the hospital at that time had experience with. 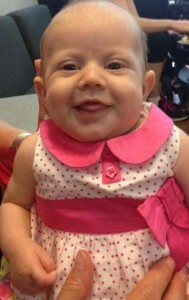 We met with a geneticist who explained that his best estimate was that Scarlett might have 3-4 months. At best, she might live to be 2 years old, but her condition had progressed so quickly, it was unlikely she would get that far. What do you do with that information? What are you supposed to do, as a parent when you are told that there is nothing you can do but pray and hope that they got it wrong, pray for a miracle, pray to wake up from the nightmare? ​Hearing that your baby is going to die is crippling. 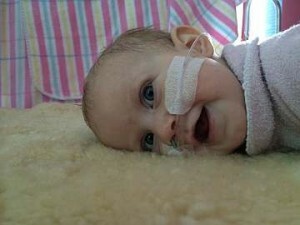 Scarlett fought for another 4 weeks, during which she was showered with love by everyone who knew her. Scarlett’s story reached thousands of people. The community banded together to ensure that we could spend every last moment with our precious angel. 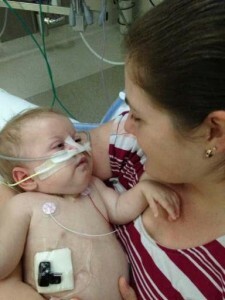 On 2 September 2014 Scarlett was extubated for the last time. 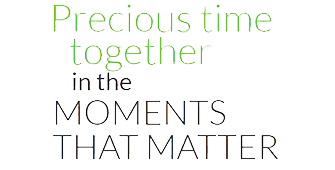 We didn’t know whether we would have minutes, hours, days or weeks with her. All we knew was that she kept experiencing apnoea episodes (which we now know was a result of the disease) and t hat every time she was intubated to keep her breathing, to keep her alive, more damage was done and it took her longer and longer to recover. Scarlett made it through that day and ended it by giving us the precious gift of hearing her voice for the first time in over three weeks, hearing her little chatter just one last time. The next day we were transferred back ‘home’ to the ward where we spent the next week together. At 6:30pm on 10 September 2014, while cradled in our arms, Scarlett May took her last breath, grew her angel wings and ascended to heaven, taking with her little pieces of our hearts. .If there was a way, we would have our little girl back in our arms. We would give everything we have and ever could have, in a heartbeat, just to see her gorgeous little face smiling back at us just one last time. Scarlett May was the light in our perfectly imperfect world and she continues to shine through the Scarlett May Foundation. 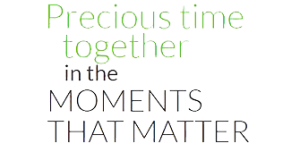 Support other families with critically ill children. Donate HERE.